Smoker's have been cautioned about lung disease, gum disease and other deleterious affects of smoking, but a new study has shown that smoking can affect the pulp (nerve and blood supply inside your tooth) of your tooth. Researchers at the Case Western Reserve University School of Dental Medicine found that smoking weakens the ability for pulp in teeth to fight illness and disease. 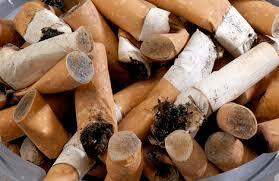 In other words, smokers have fewer defense mechanisms on the inside of their teeth. "That might explain why smokers have poorer endodontic(root canal treatment) outcomes and delayed healing than non-smokers," said Anita Aminoshariae, associate professor of endodontics and director of predoctoral endodontics. "Imagine TNF-? and hBD-2 are among the soldiers in a last line of defense fortifying a castle. Smoking kills these soldiers before they even have a chance at mounting a solid defense." Aminoshariae said that, previously, there was little research into the endodontic effects of smoking -- the inside of teeth. Smokers had worse outcomes than nonsmokers, with greater chances of developing gum disease and nearly two times more likely to require a root canal. This new preliminary research set out to explain the possible contributing factors. Thirty-two smokers and 37 nonsmokers with endodontic pulpitis -- more commonly known as dental-tissue inflammation -- were included in the study. "We began with a look at the dental pulp of smokers compared with nonsmokers," she said. "We hypothesized that the natural defenses would be reduced in smokers; we didn't expect them to have them completely depleted." One interesting find, Aminoshariae noted, was that for two patients who quit smoking, those defenses returned. Joining Aminoshariae in the study were former students Caroline Ghattas Ayoub and Mohammed Bakkar; faculty members Tracey Bonfield, Catherine Demko, Thomas A. Montagnese and Andre K. Mickel; and research Santosh Ghosh -- all from the School of Dental Medicine.